Held from 16-17 April 2019 at the InterContinental Festival City Hotel, Dubai, UAE, the 11th edition of the Gulf Petrochemicals and Chemicals Association (GPCA) Supply Chain Conference will put the spotlight on Supply Chain 4.0 and the opportunities to deliver a step change in the chemical industry’s performance. The conference will begin on 16 April, with Ahmed Al Shamsi, SVP, Regional MEAE, Borouge, and Chairman, GPCA Supply Chain Committee, delivering the opening address, and Fayez Al Malki, VP, Global Supply Chain, SABIC, who will address the audience in a must-attend keynote presentation, He will be followed by Abdulla Bin Damithan, Chief Commercial Officer, DP World UAE Region. 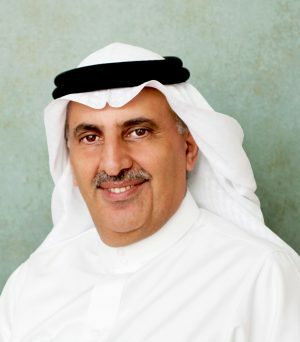 The keynote session on day two, 17 April, will be delivered by Abdulaziz Mohammed Almohawes, Head, Authorized Economic Operator, Saudi Customs, with other confirmed speakers including Eng. Ali A. Alomeir, Business Development Director, MODON, and Eng. Fuad Mohammed Mosa, VP, Local Content and Business Development, SABIC. Confirmed speakers include Ali Foolathi, VP, In-Country Value (ICV), ADNOC; Yaser Al Shahrani, Logistics Services Senior Manager, Sadara, as well as logistics and technology industry leaders – Omar Saleh, Head, Manufacturing and Resources, Microsoft MEA; Richard Morgan, Regional MD, West Central Asia, Maersk; Mehtab Gilani, Associate Partner, Chemical and Petroleum, IBM Global Business Services, and others.